Here is our Sweet Treats for you! 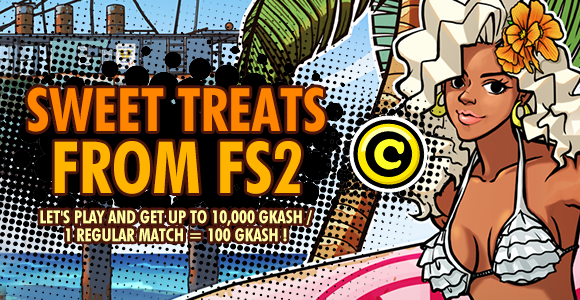 Play and complete 1 regular match and get 100 Event GKash! You can get up to 500 Event GKash per day.